During the summer months, New York City’s 8.5 million residents are out enjoying life to the fullest. Your clients can ride the subway to Coney Island in Brooklyn or out to Queens for the US Open tennis tournament, walk Manhattan’s leafy High Line in short sleeves, head up to the Bronx to take in the beauty of Wave Hill and hit up one of Staten Island’s beaches. The Bronx’s Yankee Stadium, home to the 27-time World Series Champion New York Yankees baseball team, was erected in 2009 directly across the street from their original home. The ballpark added a new play area for children and several new dining options in 2017. Even if their trip doesn’t line up with any Yankees home games, your clients can still tour the stadium year-round. 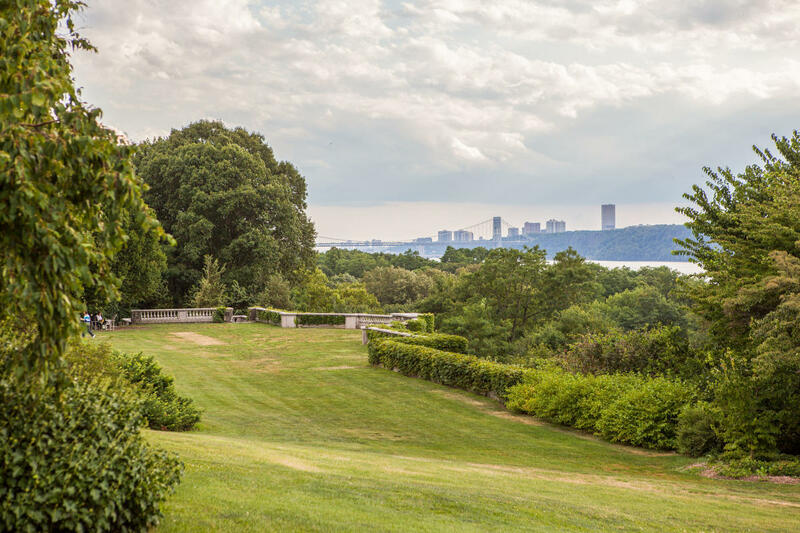 Wave Hill, a gorgeous, 28-acre (113,312 square-meter) public garden with spectacular views of the Hudson River, is located in Riverdale, a residential neighborhood in the northwestern Bronx. There’s also City Island, New York City’s version of a sleepy fishing village. It’s just a mile and a half long, but this petite summer paradise is packed with restaurants serving up fresh seafood and charming shops along its waterfront. 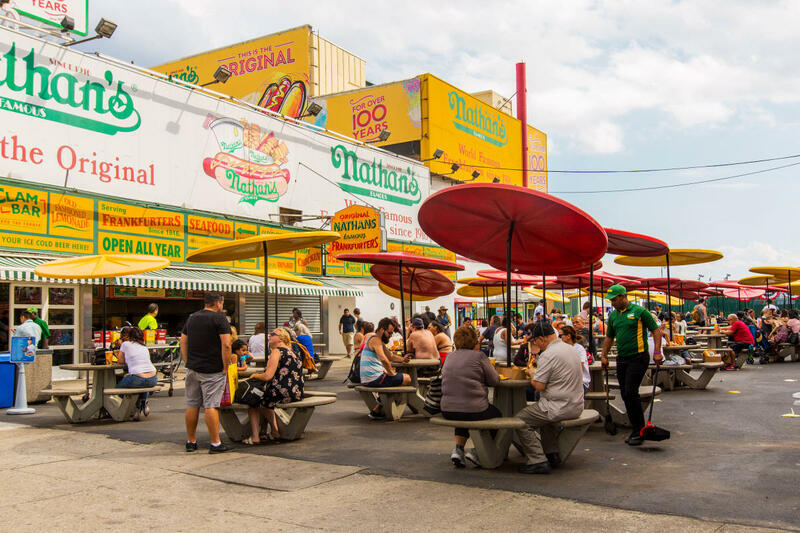 Brooklyn’s Coney Island has been synonymous with summer for more than a century. The neighborhood, located at the borough’s southern tip, is known for its three-mile-long beach and world-famous boardwalk—which is lined with seasonal attractions, restaurants and shops. At Luna Park, thrill seekers can ride the historic Cyclone along with dozens of other rides. Just down the boardwalk is the New York Aquarium, where an all-new shark exhibit debuted last summer. Your clients can also take in a Brooklyn Cyclones minor-league baseball game at nearby MCU Park. The original Nathan’s Famous opened on the corner of Surf and Stillwell Avenues in 1916, and still serves up hot dogs and French fries today. Just a few blocks away, Coney Island Brewing Company offers signature brews like Mermaid Pilsner and Overpass IPA as well as free tours every day of the week. In idyllic, 526-acre (just over 2 million square meters) Prospect Park, visitors can stroll the breathtaking Long Meadow, picnic, scan the treetops for some 250 species of birds, play softball or even go horseback riding. The Prospect Park Zoo, located on the eastern border of the park, is home to hundreds of animals, including exotic species like dingoes and red pandas. On Manhattan’s far west side is the Intrepid Sea, Air & Space Museum, a decommissioned aircraft carrier that has been retrofitted as a museum. There, your clients can see the space shuttle Enterprise, the supersonic jet Concorde and even a nuclear submarine. Chelsea Piers Sports & Entertainment Complex a 28-acre health-and-fitness center, has indoor ice rinks, a health club, an outdoor golf driving range, batting cages and indoor turf fields. Just a few blocks toward the center of the borough is Eataly NYC Flatiron, a sprawling indoor marketplace where your clients can sample Italian food and drink. A nearby highlight is the National Museum of Mathematics, which features interactive displays that playfully demonstrate the connections between math and everyday life. The High Line, a park constructed along the abandoned tracks of an elevated railway line, stretches from Gansevoort Street in the Meatpacking District up into Midtown. Visitors should also take time to explore New York Harbor—the free Staten Island Ferry departs from Lower Manhattan’s Whitehall Terminal and ferries to Governors Island leave from the adjacent Battery Maritime Building, both located at Manhattan’s southern tip. 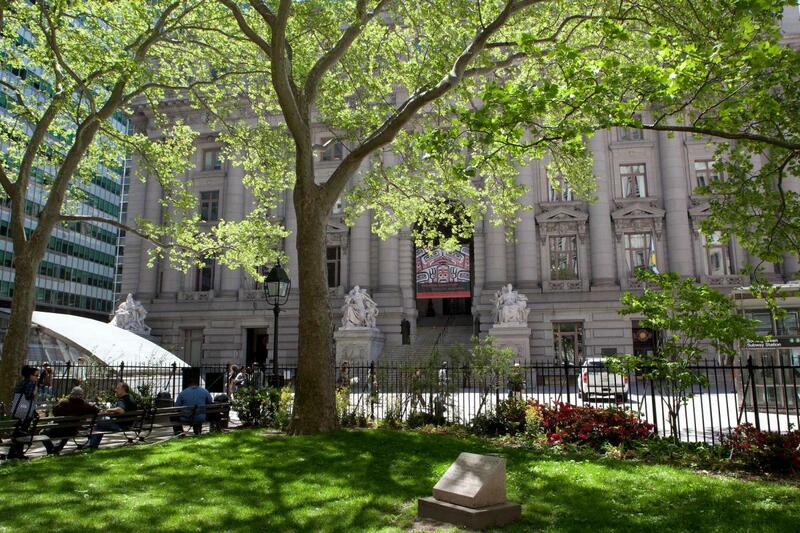 A few blocks away is the National Museum of the American Indian, a Smithsonian-affiliated gem that occupies two floors of the historic Alexander Hamilton U.S. Custom House. Exhibits explore the histories and cultures of indigenous peoples of the Americas, and the museum also hosts public programs, including film screenings and music and dance performances. Lovers of sun and surf will find both in The Rockaways, Queens’ seaside oasis with the only two surf beaches in New York City. Your clients can also fish at one of the area’s prime spots or even hop over the waves on a jet ski—Rockaway Jet Ski provides rentals as well as guided tours. 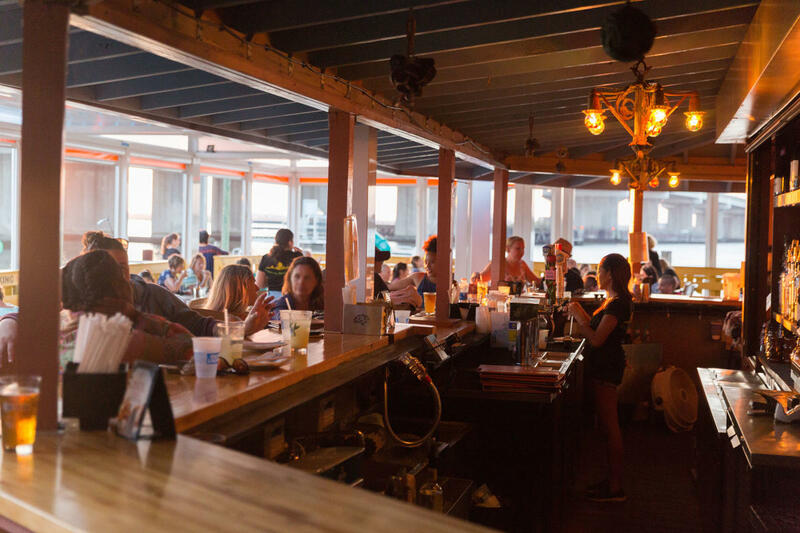 There’s also Thai Rock, a waterfront restaurant with panoramic views of Jamaica Bay, a full menu of Southeast Asian cuisine, cool cocktails and live music Thursday through Sunday nights. Baseball’s New York Mets play at Citi Field in Flushing, where the talked-about dining options compete with the on-field action for attention and guided tours of the stadium are available year-round. Just across the street is the USTA Billie Jean King National Tennis Center, where the US Open tournament—America’s only Grand Slam event—is played every August and September. Staten Island has numerous options for sunbathing, swimming and seaside dining. The 2.5-mile-long (4 kilometer) beachfront Franklin D. Roosevelt Boardwalk runs between Midland Beach and South Beach, both great places for your clients to spend a lazy afternoon. Midland Beach’s small amusement park, playground and turtle fountain make it a popular destination for young families, while South Beach affords ample space for oceanfront fun. 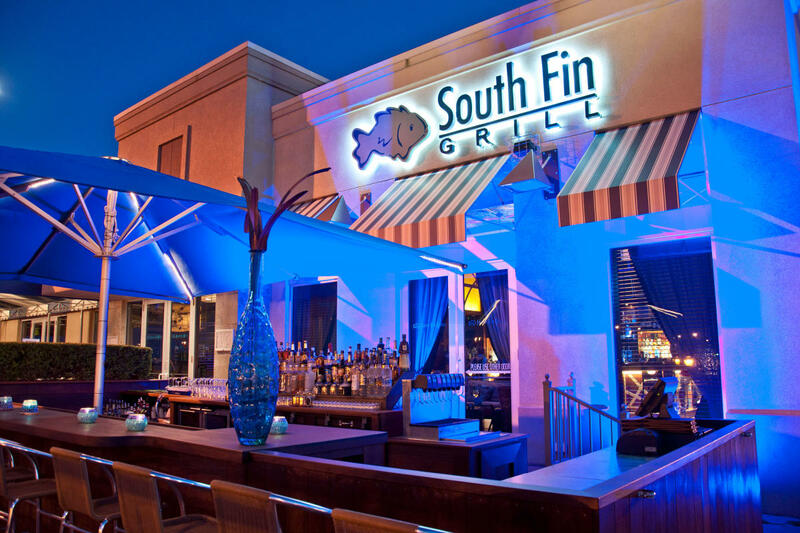 Visitors can enjoy yellowfin tuna and day-boat scallops at South Fin Grill, right on the boardwalk. The borough also has many family-friendly attractions: Richmond County Bank Ballpark, home of the Staten Island Yankees minor-league baseball team, is a five-minute walk from the ferry landing in St. George. Families will love the Staten Island Zoo, where they can see more than 800 species of animals—including some unusual species of rattlesnake in its serpentarium.